I have never once ever felt these intense emotions, that I want to share with you, until I watched the movie Avatar, written and directed by James Cameron. 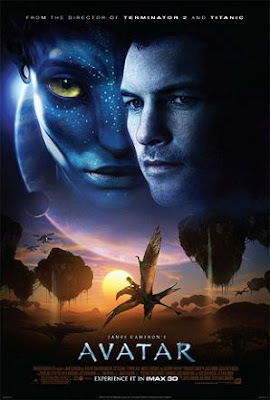 While watching the movie, I was ready to give up my entire existence to become a Na'vi, the natives of Pandora, and their entire way of being. The Na'vi are the sapient and sentient race of humanoids indigenous to their Earth-like moon called Pandora. Mesmerized right from the start, I was in awe, observing the creation of this magical and magnificent feature. I was beyond myself wondering how this man pulled this masterpiece from the depths of his heart directed and guided solely from the Universe's whispers. Life is so amazing and heart warming when you can see the genius of James Cameron shared with the entire world. To create something so extraordinary for the rest of us to observe while sitting in delight, James grasped hold of that unknown place that so many of us are reaching for. James captured my heart by 'wondrously revealing' the heart's of these beautiful people, the Na'vi, and how they lived 'with' the forest. I'm sure he captured many others heart's too! And although the Na'vi's Hometree was brutally destroyed by man, they never lost belief in Eywa and their people. With faith, the Tree of Souls was saved. A must see in my books! Thank you James, for sharing your wisdom with us all!